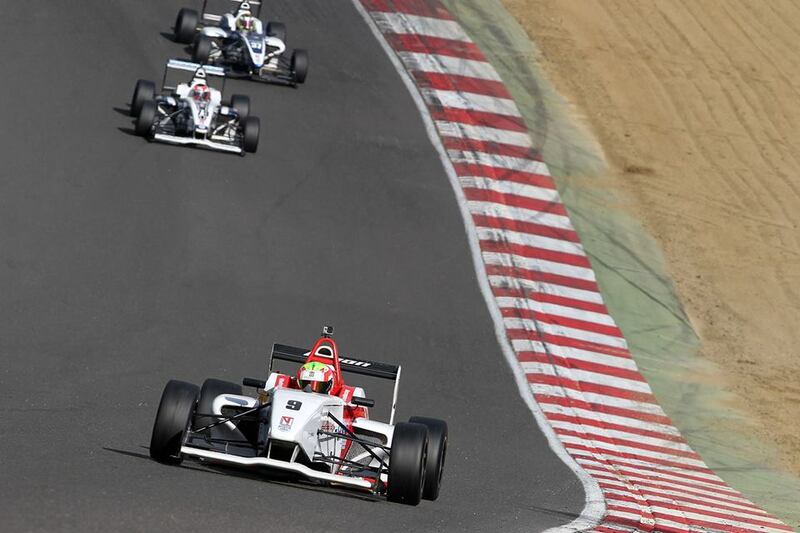 The Duo BRDC Formula 4 Championship came to a conclusion at Brands Hatch on 26-27 September, with Rodrigo Fonseca claiming a double podium to take fourth place in the standings. His team-mates, Jack Bartholomew and Chris Mealin, finished in seventh and eighth. Mexican Fonseca secured third place in race one and two, and in doing so made it three podiums in as many races. Having held off an early challenge to his podium in race one, the 19-year-old followed Urrutia in second closely but couldn't force a move. A similar story was played out in race two, having stolen third early on. It was almost a hat-trick of podiums but he had to settle for fourth, the same position he finished in the championship table. Bartholomew's consistent points scoring continued, finising all three races inside the top 10. His ninth, eighth and 10th ensured he finished the season having scored points in all but two races in 2015. Mealin, who finished the season as the only driver other than eventual champion Palmer to lead the championship, secured a pair of top 10 finishes before contact at Clearways ended his race on the opening lap.